Kanye West net worth in 2017 is $160 million according to Forbes' report. 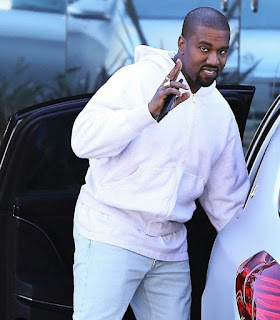 Born June 8, 1977, Kanye Omari West is an American rapper, songwriter, record producer, singer, fashion designer, music video director and entrepreneur. Many were surprised when back in May 2017, Forbes released its list of the five richest people in hip-hop and Kanye West was not on the Forbes’ Richest in HipHop list. You recall In 2014, Kanye West net worth placed him as the 20th wealthiest celebrity on the Forbes list. Atop the Forbes’ Richest in HipHop list for 2017, sat Diddy with $820 million. Jay Z was right on his heels with $810 million. Dr. Dre, the producer responsible for building the careers of rappers like 50 Cent and Eminem, sat on $740 million. Meanwhile Birdman, worth $110 million, was soon to be surpassed by his own artist Drake, who came in at No. 5 with $90 million. Kanye West is 40 years old. He was born in Atlanta and raised in Chicago. Kanye West began his career in the music industry in 1996, attended art school before becoming known as a producer for Roc-A-Fella Records in the early 2000s, producing hit singles for artists such as Jay-Z and Alicia Keys. Intent on pursuing a solo career as a rapper, West released his debut album The College Dropout in 2004 to widespread critical and commercial success, and founded the record label GOOD Music. His subsequent albums include Late Registration (2005), Graduation (2007), and 808s & Heartbreak (2008). In 2010, he released his fifth album My Beautiful Dark Twisted Fantasy to rave reviews from critics, and the following year he released the collaborative album Watch the Throne with Jay-Z. West released his abrasive sixth album, Yeezus, to further critical praise in 2013. His seventh album, The Life of Pablo, was released in 2016. These albums enhanced to a greater extent Kanye West’s increased net worth. West’s outspoken views and life outside of music have received significant mainstream attention. He has been a frequent source of controversy for his conduct at award shows, on social media, and in other public settings. Kanye West has sold over 21 million albums worldwide, resulting in a boost of his net worth dating back to The College Dropout in 2002. He has also won more than 40 significant music awards, including 21 Grammys, seven BET awards, and two American Music Awards. Kanye clothing line and shoe designing business have also facilitated his remarkable success and high increase in his net worth. In 2009, Kanye West debuted the line of shoes he designed for the luxury goods brand Louis Vuitton thereby expanding Kanye West net worth. Kanye West has fantastic net worth was $100 Million in 2014 while in 2016, his net worth was estimated $145 million. In February 2017, Kanye shocked fans by making the announcement that he was in a whole load of debt. However, declaring bankruptcy in the US doesn’t necessarily mean you have no net worth or you are completely broke. Many people, including the new US President Donald Trump, have filed for bankruptcy multiple times. Kanye West lives a flamboyant and lavish lifestyle which is proved by his magnificent mansions across the world. In 2013, Kim and Kanye both moved into a £7million mansion, spending over £1.5million on renovations alone. It was also reported that they purchased a £15.6million pad in Hidden Hills, California, which is still in the re-vamping process. If that wasn’t enough, their property empire continues to sprawl across the globe, as they’re house owners in Paris and New York City. One of the magnificent houses is in California which he bought for $1.75 million in 2003 and listed it in 2010 for $3,995,000, thus added to his net worth. The grand mansion was colorfully designed by a renowned Italian architectural designer, Claudio Silvestrin. With the net worth of over $120 million, Kanye West owns some of few most luxurious homes around the world and been to most exotic places for holiday. Kanye West no doubt has an expensive taste. Not only do his lavish properties come at a price, he’s also owner of a Mercedes Maybach, which costs almost £150,000. The world-renowned music producer is also renowned for his generosity. Kanye West once splurged on pricey gifts for Kim, including Birkin bags, a luxe Louis Vuitton fur coat and a £3.5 million Lorraine Schwartz engagement ring. Kanye also splashed cash on behalf of friends and other family members. Not only did he buy his toddler North a diamond tiara, it’s also been reported that he spent £26,000 on a golden skull gift for fellow recording artist Jay Z. But on Jay Z’s latest album 4:44, Jay-Z suggested that he lent Kanye $20m to help him escape debt and is yet to be paid back. Kanye West’s wife is Kim Kardashian and they have a daughter North West and recently gave birth to a son, Saint West.